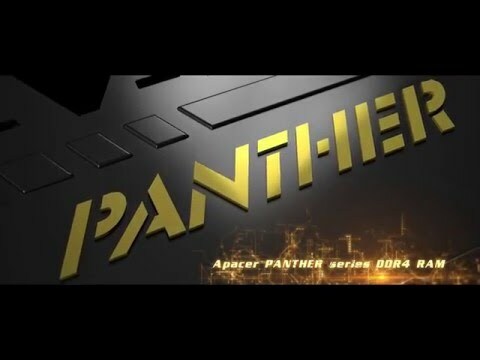 Apacer is glad to release the high-quality, fastest SSD AS330 PANTHER allowing your PC to run like a panther. Apacer views promoting the popularity of high-speed transmission as its own mission and rolls out the latest SSD, which adopts the next generation SATAIII transmission interface. It provides excellent performance of read/write speed reaching 495/385 MB/s. PANTHER is perfect for gaming desktop, laptop and NAS users. With a sequential read speed of 495MB/s, and sequential write speed of 385MB/s. The universal 2.5” standard, latest high-speed SSD to get the most performance out of the latest PCs and laptops. Thoughtfully designed for connector protection, to prolong the golden finger’s life. Handling complicated data-intensive work and giving instantaneous response for your high-end desktop or laptop. • 2x Faster: Application load time & responsiveness, when handling data-intensive programs. • High Performance: Windows-To-Go function, built-in advanced wear levelling, ECC, Win7 Trim command, S.M.A.R.T. and NCQ command. • Low Power Consumption: 95% less power consumption than HDD and longer battery life. • Advanced Software: Free SSD management, self-monitoring, analysis and reporting technology, instant firmware update. Features • Compatible with SATA 6.0Gb/s interface. • Outstanding read performance, up to 495MB/sec. • Phenomenal write performance, up to 385MB/sec. • Supports SATA Power Management. • Powerful ECC engine correcting up to 72bit/1KB. • SDR cache buffer for strengthened I/O efficiency.